Every person probably has their own preferred water pressure. They surely have their own preferred water temperature as well. The temperature can be controlled by the flick of a wrist and on the spot but water pressure is a different story. 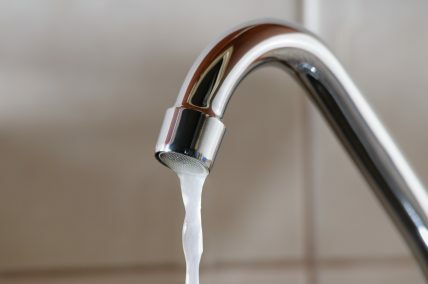 Usually poor water pressure is caused by clogged pipes. Any house that is older will have build up within their pipes. If you think the problem may be in the city water lines then you can get a water pressure gauge and check it at the source. This will help you narrow down the issue. If the problem with your water pressure is not the city water source, you can consider buying a water pressure booster system. This is something that most people will hire a professional to accomplish. You can call us today to discuss this. Having too much pressure can be a bad thing. Pressure over 80 psi can damage your appliances and cause you to lose water. Usually households want to keep their water pressure between 50-60 psi. A plumbing professional and help you reduce your overall water pressure as well. Think about water pressure like the circulatory system in the human body. Too high blood pressure can cause problems in the future. Too low blood pressure can cause the human body not to function properly. The pipes are like arteries in that the older they get, the more plaque that builds within them. Repiping a house is always an option when the pipes and plumbing system are faltering. In more rural areas like southern Palm Bay where people are using well water, you can expect more clogging and erosion. It is a good idea to keep in mind the age of your home and the water system you have when diagnosing what is causing your water pressure problem.